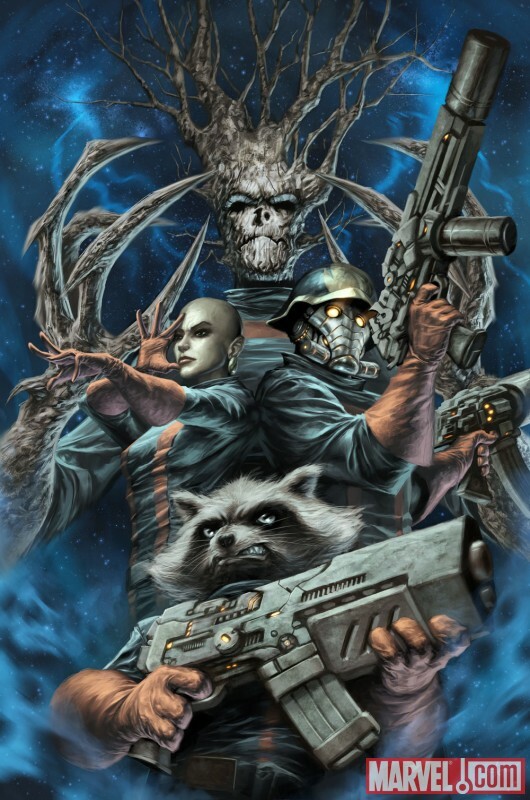 Guardians of the Galaxy concept art above shows (left to right): Drax the Destroyer, Groot, Star-Lord, Rocket Raccoon and Gamora. Marvel Studios chief Kevin Feige have more details on three upcoming Marvel films at San Diego Comic Con. They also revealed concept art for the superhero team film Guardians of the Galaxy scheduled for release August 1, 2014. It was done by in-house concept artist Charles "Charlie" Wen (Thor, Captain America: The First Avenger, Iron Man 2). The galactic superhero group, which was created in 1969 by Arnold Drake and Gene Colan. It was rebooted in 2008 by Dan Abnett and Andy Lanning with a new timeline. 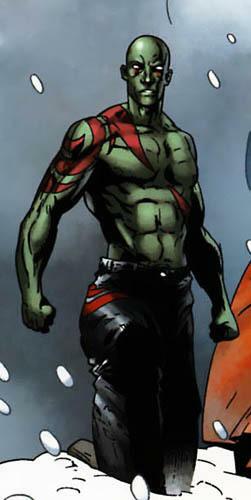 The team has featured multiple characters over the years, but the lineup for the movie will be: Drax the Destroyer, Groot, Star-Lord, Rocket Raccoon and Gamora. Here's what the characters look like in the comics. 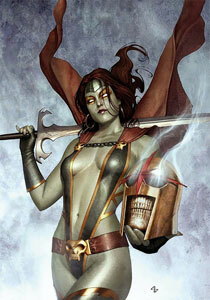 The most radical design change is Gamora's rather "Vampirella" style costume to a warrior uniform. I'm thinking armor is useful for covering an exposed chest. Image courtesy Marvel Studios @ 2012 Marvel Entertainment Group. All rights reserved. What do you think of the illustrations? Are you looking forward to the Guardians of the Galaxy? Are you glad they modified Gamora's costume?